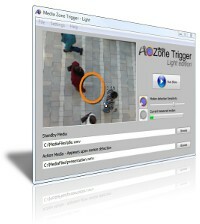 Create interactive audio/video scripts using the Media Zone Trigger software, a webcam and any media file you want. This software will sequence your media files on a display based on the motion detection triggers you have specified. Set the size of the hot spot, move it over the area to monitor on the video, and the software will produce an action when it detects motion in this zone. Flexible Software - Create cool interactive project that behave any way you like. Use the hardware you want, use the file formats you have. 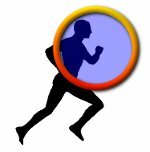 Produce simple "start upon motion" presentation, or setup complex interactive scripts. An easy software to use, you need to connect a webcam, specify the motion hot spots, select a media file to play upon motion, and your project is done.